There are many organizations across the globe offering helpful online resources for people to learn about Scottish Gaelic language and culture. Here are just a few. Take a look! Founded in 1973, Sabhal Mòr Ostaig has become internationally recognised as a National Centre for the Gaelic language and culture and provides high quality education and research opportunities through the medium of Scottish Gaelic. You can view Sabhal Mòr Ostaig's prospectus here. 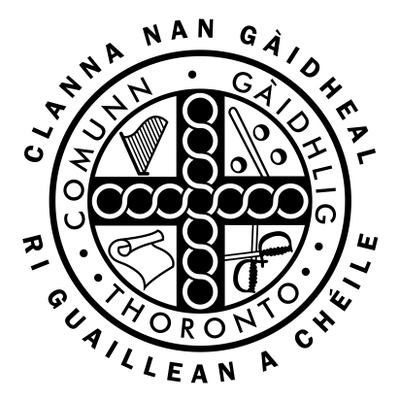 The Atlantic Gaelic Academy (AGA) is a Gaelic language school, dedicated to teaching its students to read, write, and speak the Gaelic Language. Its goal is to increase the number of Gaelic speakers by making Gaelic courses and education available to students of the language wherever they live. ​Acair publish a wide range of Gaelic, English and bilingual books. Their titles are all on show on their website to browse. From the adventures of kids favourites Rosie Rabbit and Mr Bear to the learned prose and soaring poems of Sorley Maclean and Iain Crichton Smith, there is something for everyone. Acair Ltd, a not-for-profit company run by a board, was established in 1976 to provide Gàidhlig language materials for the ground-breaking Bilingual Education Project in the Western Isles. LearnGaelic, a one-stop shop for anyone and everyone interested in learning Scottish Gaelic. Whatever stage you are at, and whatever age you are, all the help you need is just a click away. Using data supplied by Clì they have tried to list every Gaelic course within Scotland. Increasingly, they are adding international courses too. Mango Languages provides a self-paced learning program that teaches languages through relevant and topical dialogue using the four key components — vocabulary, pronunciation, grammar, and culture — for improving proficiency in another language. And learning Scottish Gaelic on Mango Languages is free! This online introduction to Scottish Gaelic is offered through BBC Alba / BBC Scotland. There are 35 conversation based units with audio and text. There is an opportunity to test yourself after every unit. There are also a few simple songs complete with lyrics in Gaelic and English as well as sound files for the tunes. Geared to a teenaged audience, this website teaches vocabulary with text and audio through humorous dialogue, games and activities. The “Little Black Book” of phrases with sound files is also useful for older learners. Every week, Gaelic educator Roddy Maclean provides a “little letter” in the form of a downloadable podcast (text also available) on a wide range of topics. He speaks clearly and slowly, allowing learners to practice their aural comprehension. English translation is also provided for the later letters. The Letter to Gaelic Learners is an advanced version of An Litir Bheag. Grammar and vocabulary are more complex and the dialogue is spoken more quickly. There is no translation, but vocabulary and grammar points are explained briefly in English. Online version of the classic Dwelly Gaelic dictionary, searchable in Gaelic or English; provides usage in sentences for useful context. ‘An Seotal’ is an on-line terminology database, particularly aimed at Gaelic-medium subject teaching in the secondary school but with provision for and accessible to all other users. They are a community interested in Scottish Gaelic and are from all corners of the world. You can take part in their Gaelic language discussions on their message board where people with all kinds of levels of Gaelic are writing - from the raw beginner to the fluent. The greater part of their members are living in places where you can't get classes, and will do their best to help everybody with their Gaelic. iGàidhlig aims to: Create software tools for Gaelic (usually in co-operation with other groups or projects); translate existing software tools into Gaelic; disseminate information about these resources and support people who want to use them. Ùlpan is a fast and effective way to learn a language. It has been used for over 50 years to great effect in Israel, where it originated, and in Wales where it has brought thousands of learners to fluency in Welsh. In Scotland, over 2,000 students have registered with Ùlpan since its launch in 2007. The course is made up of 144 units with most students doing a minimum of two 1.5 hour sessions each week. Comunn na Gàidhlig (CnaG) is a social enterprise which provides Gaelic services throughout Scotland. They are involved in many different areas including Young People and Events, Iomairtean Gaidhlig, Education & Parents, Funding and many other areas. Browse their website for news, information, application forms and employment opportunities. The Gaelic Books Council is the lead organisation with responsibility for supporting Scottish Gaelic authors and publishers and for raising the profile and reach of Scottish Gaelic books in Scotland and internationally. This website contains over 34,000 oral recordings made in Scotland and further afield, from the 1930s onwards. The items you can listen to include stories, songs, music, poetry and factual information. The hub for parents and children interested and involved in Gaelic Education. Blog and resources supporting parents who wish to teach their children Gaelic. The national organisation which offers advice and support on Gaelic medium education to parents. Comann nam Pàrant (CnP), which means "Parents’ Organisation", consists of a network of around 30 local groups, representing the interests of parents whose children are educated through the medium of Gaelic at the various levels.